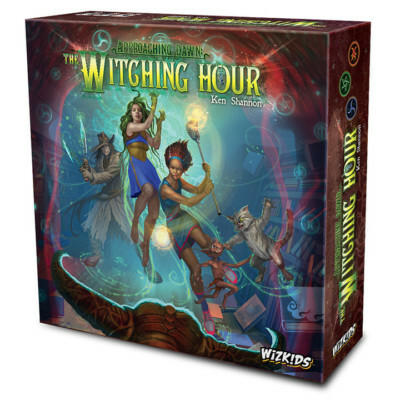 Enter the world of witches, warlocks, and demons in Wizkids’ newest release Approaching Dawn: The Witching Hour, designed by Ken Shannon. Cast spells, summon familiars, and work together to survive the night as your personal Demons manifest in an attempt to steal your magic powers… and soul! Cast two different types of magic: Black and White. Devastating Black Magic spells are used to defeat enemies in front of you, but be careful, Black Magic has its costs, and will hurt other members of the Coven. Conversely, White Magic heals you and can be used to help out a fellow Coven member. Use both to banish creatures that enter our world back into the Void! It’s not just monsters the Coven needs to worry about. As a Witch’s soul darkens with the use of magic, they will gain Corruption. If a single Witch earns 20 or more Corruption before the end of the night, the Coven falls and everyone loses. If all survive until dawn, then the Coven wins! Gather a Coven of friends today and head on over to your Friendly Local Game Store to pick up a copy of Approaching Dawn: The Witching Hour for $59.99. WizKids is pleased to announce the upcoming release Approaching Dawn: The Witching Hour, designed by Ken Shannon for 3 – 6 players. In a world where Witches cast spells and Demons exist in the darkness, will you be able to banish the evil? 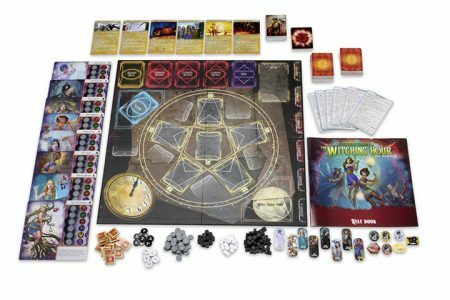 In this cooperative new board game, players are members of a coven who are blood bound – what one witch does affects another member of the coven. Work together to use your magic to bind and banish the demons, imps, fey, possessed animals, and warlocks that are entering the world. Each witch starts with different abilities and their own spell deck, but not all spells are cast the same. 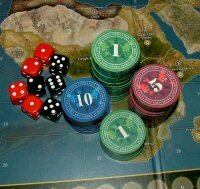 Each card can be played as Black Magic or White Magic. Black Magic is powerful and can help you but will corrupt the other members of your coven. White Magic can be used to heal your own corruption or assist your allies. Throughout the game, witches can gain corruption to learn new spells, get familiars, and collect artifacts. How they choose to use these new cards each Hour will determine the success of each scene (mission). In Approaching Dawn: The Witching Hour each scene determines the goal of the game. If the scenes are played in order, they form a story arc, but players can play any scene in any order. Approaching Dawn: The Witching Hour will be available as an early release at Gen Con and will be available in stores in September. Pre-order Approaching Dawn: The Witching Hour from your Friendly Local Games Store for $59.99 today!